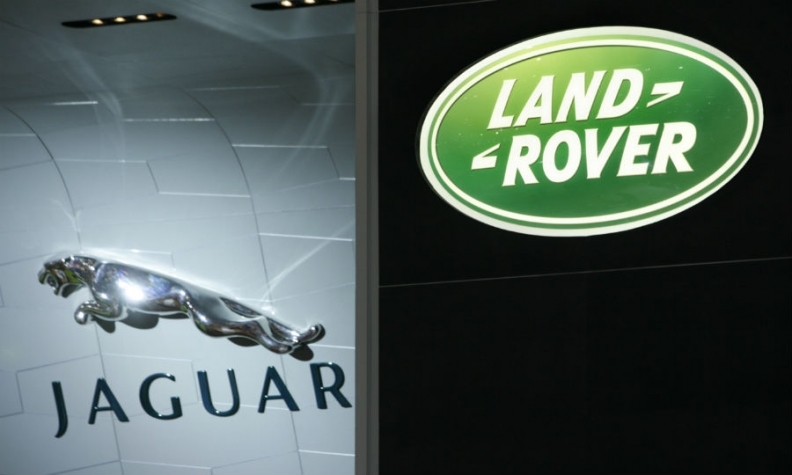 LONDON – Jaguar Land Rover reported record sales last year as the brand's revival under India's Tata Motors continued. JLR's global volume rose 24 percent to 487,065 as gains in Europe and the U.S. offset falling demand in China, the company said in a statement. New models such as the Jaguar XE and Land Rover Discovery Sport boosted sales, JLR sales chief Andy Goss said in the statement. Mainland Europe was the company's largest sales region with volume up 28 percent to 110,298. Sales in the UK, the company’s biggest single market, rose by 21 percent to 100,636. JLR’s volume in North America increased by 25 percent to 94,066. Volume in China fell 24 percent to 92,474 as sales were hit by a slowing market and a major industrial explosion at the Chinese port of Tianjin in August that destroyed JLR models stored there. Land Rover accounted for the bulk of JLR sales with record sales of 403,079, up 6 percent on the year before. Jaguar has its strongest year in a decade with volume up 3 percent to 83,986. The brand’s best year was 2002 when it sold 103,000 units shortly after the launch of the X-Type. Jaguar expects its new XE and XF sedans, and F-Pace SUV, to lift sales this year. Analysts IHS Automotive forecasts Jaguar sales to reach 200,000 by 2018. JLR has said it expects to increase sales to about 850,000 by 2020 as it adds new models and expands production abroad. The company plans to open a factory in Slovakia in 2018 and will this year start production of the Land Rover Discovery Sport in a new plant in Brazil. The company opened a factory in China in 2014. The plant builds the Range Rover Evoque. JLR’s best-seller last year was the Range Rover Evoque compact SUV with global sales of just over 108,000, down 13 percent on the year before. In second place was the Range Rover Sport large SUV with sales up 6 percent to 87,319. No. 3 was the Land Rover Discovery Sport with sales of 69,501. Last year was JLR’s its sixth consecutive year of sales gains after Tata Motors, which bought the automaker from Ford Motor in 2008, invested heavily in the company’s revival.